Although some Japanese motorists would shy away at an Itasha wrapped vehicle; it would seem that Kawasaki, Yamaha, and Honda have joined the Itasha club by sponsoring Bakuon wrapped motorcycles for the popular motorcycle show. The Anime, “Bakuon” is known for having cute high school anime girls dressed in school outfits, often wearing no leathers or other real protection besides helmets and speeding around in an all-girls motorcycle club. 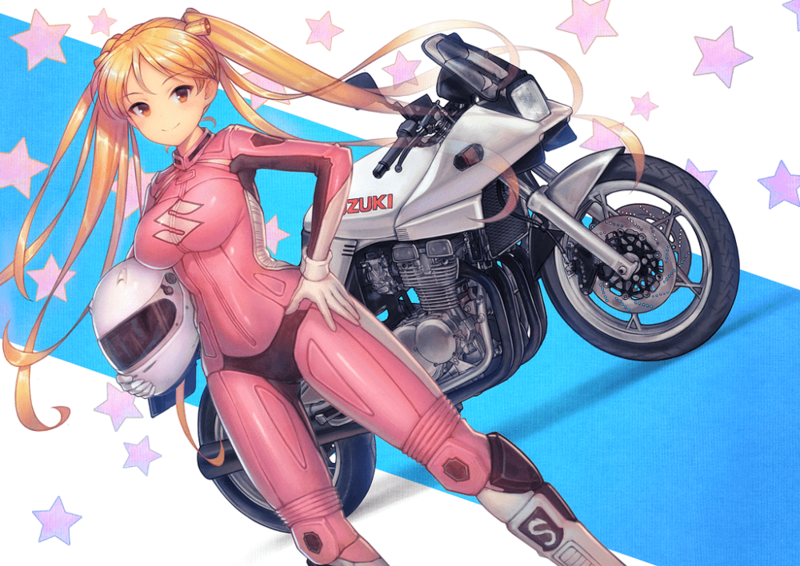 Like most anime, Bakuon was first introduced as a manga series in 2011 by Mimana Orimoto and published by Akita Shoten. Owing to the uniqueness of the show, TMS Entertainment (a Japanese animation studio known for many anime titles) picked up the story line to adapt as the Bakuon anime that we know in 2016. Although Bakuon features an array of different motorcycle brands, so far only a Yahama YZFR-25, Kawasaki Ninja 250SE, and a Honda CB400SF have been listed to go on sale on June 1st. The characters in the anime are reflected onto their respective motorcycles, but where is Rin’s Suzuki? Is it only a matter of time before we begin seeing cars come out of the factory with cute anime Itasha themes as well? Let us know what you think!